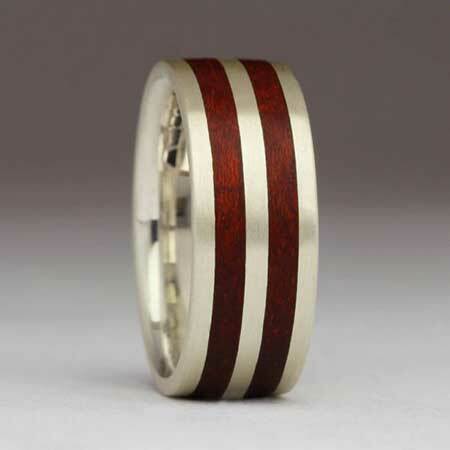 Twin Inlay Silver & Wooden Wedding Ring : LOVE2HAVE in the UK! 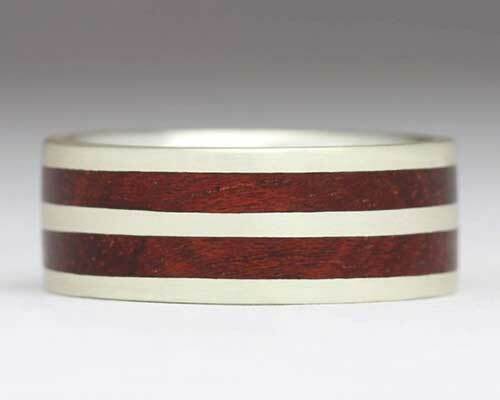 A flat profile sterling silver and wooden wedding ring with a twin wooden inlay. If you are looking for a unique wooden ring for a wedding ring, then this is the ring you need. The wood inlays come evenly spaced, and as the wood comes inlaid into silver, the silver protects the wood from wearing away, unlike a wooden ring made entirely from wood only.